There are many reasons to travel to Amsterdam. 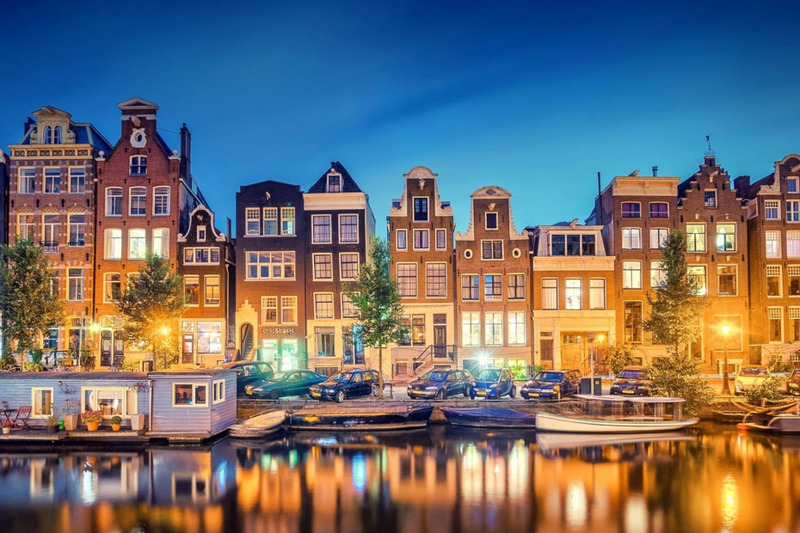 It’s the capital of the Netherlands and one of Europe’s most vibrant and colourful cities. Amsterdam offers an unparalleled combination of high culture and decadence. Look once and it’s a pretty European city laced with canals; twice and it becomes a cultural centre with an incredible collection of art and for a third time you see a decadent party town where anything goes. So which one is the real Amsterdam? The romantics will adore the lazy curves of the city’s waterways and enjoy watching from cafés in cobbled streets or picturesque bridges as the mood of the city changes with the weather. The culture-hungry will soak up the offerings of the Rijksmuseum, Van Gogh and Stedelijk museums along with hundreds of smaller collections dotted all over the city. Amsterdam satisfies a wide range of tastes and displays include everything from the best Dutch Masters to ultra-modern exhibitions. Then there are the alternative delights which draw their own crowd – some seeking the pleasure of De Wallen or De Walletjes (the notorious Red Light District) and others attracted by the liberal attitude towards soft drugs sold in the city’s “coffeeshops”. For those who are curious but not tempted to indulge, a stroll through De Wallen in the evening is still likely to be an illuminating experience albeit a bit seedy. In truth the city is a kaleidoscopic mixture of all these things, where you can take as much or as little of each to create your own unique experience of Amsterdam.